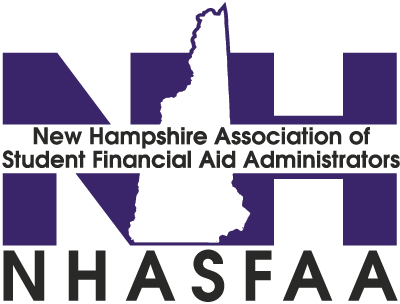 The New Hampshire Association of Student Financial Aid Association (NHASFAA) welcomes memberships from both individuals employed by institutions of higher education and individuals associated with supporting financial aid services and/or financial assistance programs for higher education institutions. Regular and associate membership shall be on an annual basis corresponding to the calendar year of January 1st to December 31st. Regular membership shall be limited to persons professionally engaged in the administration of student financial assistance programs at New Hampshire institutions of higher education. Associate membership shall be limited to persons involved with businesses and/or community organizations that provide financial assistance programs and/or services to New Hampshire post-secondary students as well as institutions of higher education outside the state of New Hampshire. Lifetime/Honorary membership shall be presented to persons who have performed outstanding service in administration and/or support of student financial aid in New Hampshire and who are voted honorary membership by Council.